Microsoft today released a preview of Office 2016 for Mac, the successor to the four-year-old Office 2011. The preview, which weighed in at a 2.5GB download, was made available to any Mac owner running OS X Yosemite, unlike the preview of Outlook, which Microsoft offered last October only to subscribers of its rent-not-own Office 365 subscription plans. 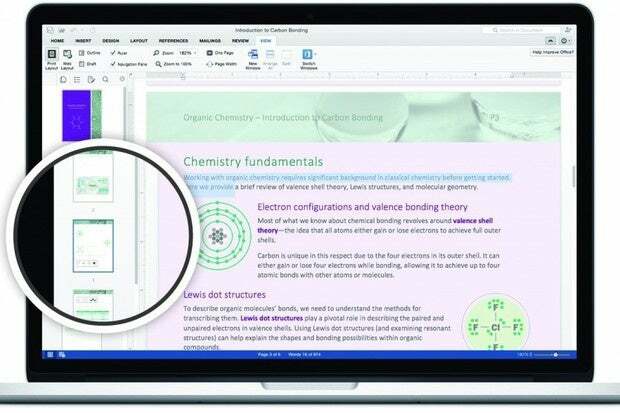 Officially dubbed "Office 2016 for Mac" -- for once, Microsoft's using the same numerical moniker for both the OS X and Windows editions -- the preview contains Excel, OneNote, Outlook, PowerPoint and Word. Microsoft has not set a launch timetable for either the OS X or Windows editions, but analysts expect that the company will release both around the same time and alongside or near the debut of Windows 10. It will ship in final form this fall, most likely in September or October. In a short FAQ published today about Office 2016 for Mac, Microsoft stuck with its previous "second half of 2015" release timeline. The FAQ also confirmed that, like the Outlook preview from last year, the other Office 2016 applications can be used without disturbing their doppelgangers from Office 2011 for Mac. Microsoft will update the preview regularly, it said without defining the intervals, and each build will expire about 60 days after the release of its successor. "The last preview build will continue to function for roughly a month after our official launch date," Microsoft added. While the preview is free to use, the final will come with a price tag, although Microsoft has yet to announce costs. It typically reserves that announcement until closer to official launch. Office 365 subscribers will be able to update to Office 2016 free of charge, and the latter will also be available in one or more SKUs (stock-keeping units) separately as a perpetual license. Those licenses require customers to pay up front, but they are allowed to run the suite as long as they want without further fees. Current prices for a non-subscription license to Office for Mac start at $139.99 for a one-license copy of Home & Student, which omits Outlook. The single-license Office & Business, including Outlook, costs $219.99. Although Microsoft freed up a wide range of features -- including basic editing tools -- in Office for iPad last year, it would be a surprise if the company followed suit with the desktop application-based Office 2016, if only because that would torpedo its strategy of pushing customers to Office 365. Office 2011 for Mac users will have only a few months to upgrade to Office 2016 before support ends on Jan. 12, 2016, unless Microsoft extends that support. Once Microsoft retires a product from support, it stops serving security patches. The Office 2016 for Mac preview can be downloaded from Microsoft's website.